When an opponent’s monster declares an attack: You can Special Summon this card from your hand, in Attack Position. 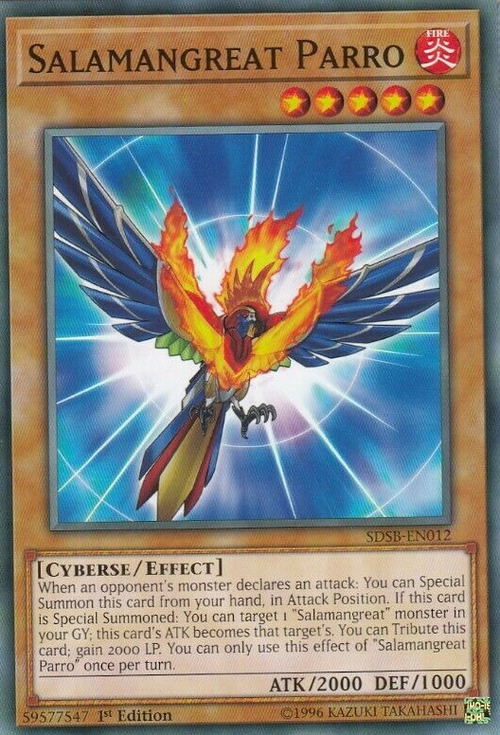 If this card is Special Summoned: You can target 1 "Salamangreat" monster in your GY; this card’s ATK becomes that target's. You can Tribute this card; gain 2000 LP. You can only use this effect of "Salamangreat Parro" once per turn.